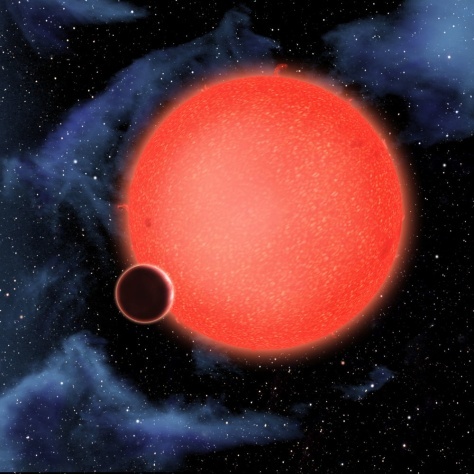 GJ1214b, shown in this artist’s view, is a super-Earth orbiting a red dwarf star 40 light-years from Earth. New observations from the Hubble Space Telescope show that it is a waterworld enshrouded by a thick, steamy atmosphere. GJ 1214b represents a new type of planet, like nothing seen in the solar system or any other planetary system currently known.